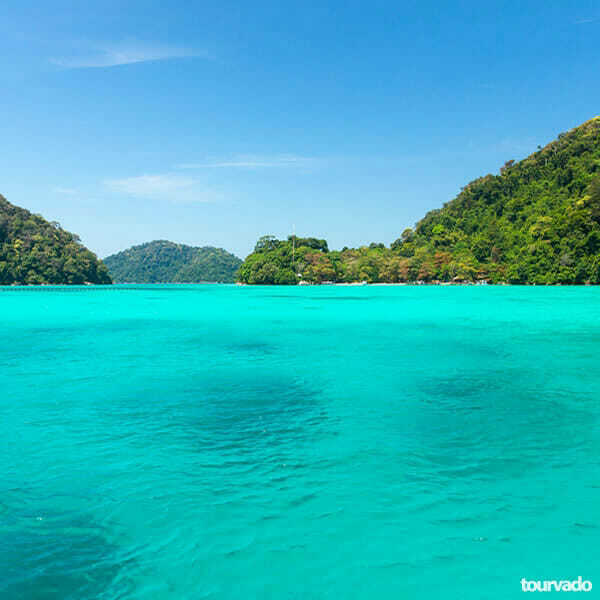 The team will pick you up from your hotel so you can reach Baan Nam Kem Pier, the port of departure right in front of the Surin Islands where you will assist tour guides briefing and enjoy light breakfast, taking your time to choose your snorkelling gear. Around 9.00 am we departure to the Surin Islands, arriving after approximately 1 hour and 30 minutes of speedboat riding at the first reef snorkeling point for the first stop of this tour. Around 12.00 you will enjoy Lunch at beach restaurant on the norther part of the island, you will also have here time to relax on the beach. We will than go back on board to head towards the second amazing spot for snorkeling. 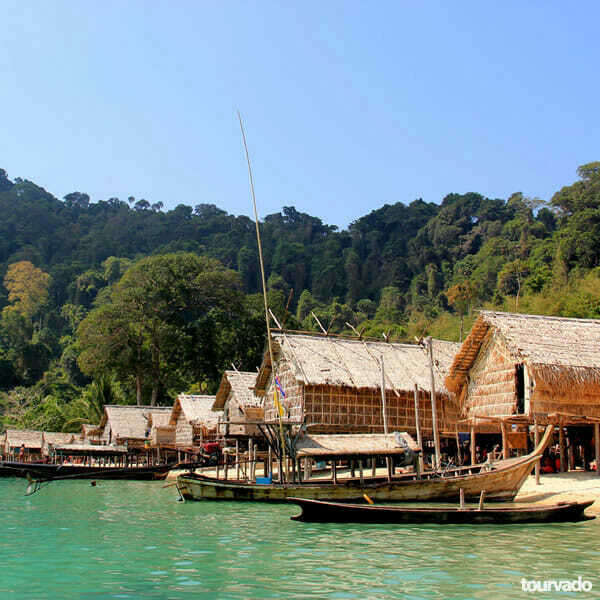 We will also sightsee the area of the Moken Village ” The Sea Gypsies ”. 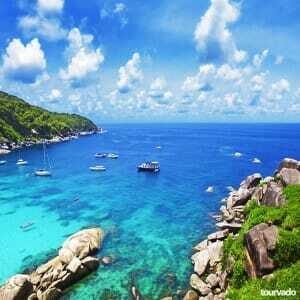 For the third and also final stop of this fantastic tour we will be snorkeling at the Surin Islands. After we will head back and arrive at Baan Nam Kem Pier to organize your transfer back to your hotel. 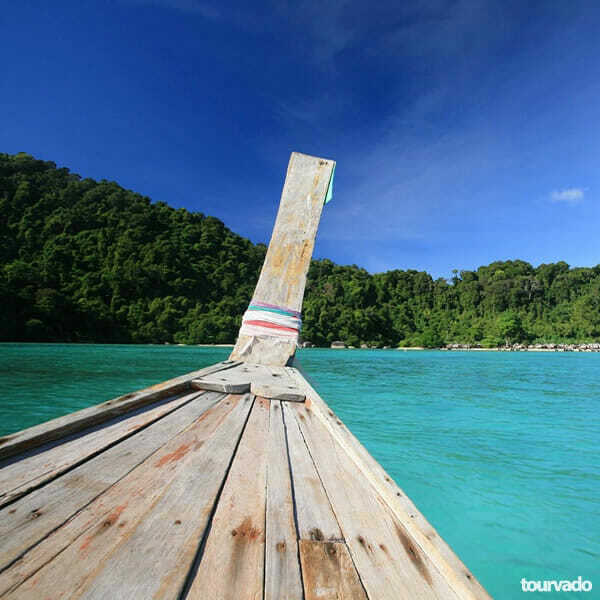 Surin Islands speed boat Tours to Koh lak is an adventure that won’t be easily forgotten. More secluded than the Similan Islands but no less beautiful, Surin Islands are absolutely stunning. The islands have pristine warm waters, pure fine white sandy beaches, swimming, snorkeling and diving Paradise as well as the amazing sight of the local sea gypsies. 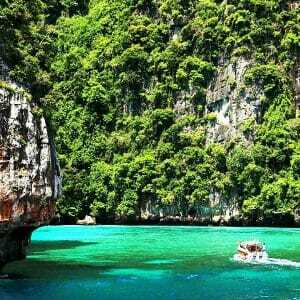 The Surin Islands are five wonderful islands located 90 km west from the Coast of Khao Lak. This is truly an unspoiled tropical paradise, with healthy forested islands surrounded by clear blue water. The islands being very close to each other make the water color appear emerald green due to the low depth in the channels between islands. The islands are also quiet and pristine with beautiful archipelago that has become popular in recent years. The snorkeling sites here are lovely with brilliantly colored coral fishes, reefs, soft sandy beaches and other lovely marine animals. Interesting activities to take part in include snorkeling, swimming and relaxing. You can snorkel around the south island in the morning, have delicious lunch prepared by locals on the beach and snorkel the central-north part in the afternoon. There are also Nemo reef which is one of the favorite snorkeling spots where you can find an amazing colony of Nemos in shallow waters. Due to their remote location and size, a trip to the Surins is still a true island adventure without the usual high amounts of other visitors. It is not uncommon in the Surins to see whale sharks, fascinating manta rays, eagle rays, juvenile sharks and sometimes even pods of dolphins. 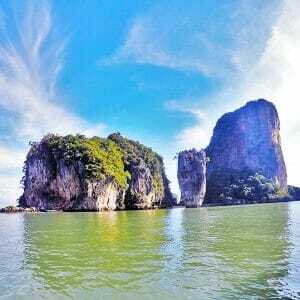 The Surin Islands also consist of sedimented granite blocks that are a delight to the eye, so get your gears ready and be prepared to get wet as the adventure of a life time lies ahead. Return transfers are included in your Khao Lak Hotel.